"I created 1.5 crores in last 7 yrs" - here is an Inspiring Money Story ! This time we are going to share money story of another reader of ours (Name not disclosed as per request). This person is from Bangalore, belonging to the middle class and is now working in the US from the last 2.5 years. He is a regular reader of this blog and agreed to share his money story with a bigger audience. Born and Bought up in Bangalore, I have spent ~30 years of my life in Bangalore and 4 outside of India. Yes, I have seen Bangalore go from a quaint friendly place where I could cycle 20 km in 30 odd mins through peak traffic, be out any time of the night, ask strangers for help to the current madness on the streets. My parents were both employed in Banks. My sister and I were never left wanting for anything that would enrich our lives. Looking back; there are things that are more evident to me now with some wisdom that I have gained. My dad standing in ration line 20 odd years ago for necessities like sugar, our first vehicle – A Luna if anyone remembers, the frown and anger (a reflection of his inability to shell out more cash ) when I asked for something by the month end. Things improved significantly around 10 years back when with new pay scales and an open economy, and a mortgage that was paid off, my parent had more disposable income and could get us (almost) anything we wanted – All I wanted was 500 INR per month pocket money when I was in engineering. Unfortunately, like most Indian families, this education never covered financial education. While it’s easy to now look back and fathom what my parents underwent financially when we were growing up – I still remember an incidence when I was in high school and I wanted a quiz book which costed around 5 INR (yes, 5 INR . Not a typo). My father had told me he can only get that after a week (payday) and I had thrown a fit calling him names (I was a mean teenager). 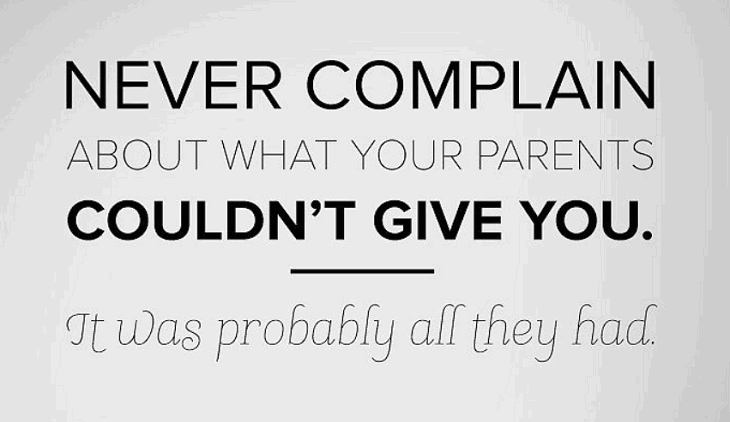 That night, when I was miserable for shouting at my father, I walked towards his bedroom to apologize and I could hear him almost apologizing (sobbing) and informing my mother that he couldn’t get what was necessary for me. This incident for some reason stuck with me through. No money matters discussed openly! Money matters were never openly discussed and this translated into my spending habits in my initial working years. I was making around 25k take home a month ( a princely amount on 2007 ) and I just burnt through all this – Food, gifts for friends. Zero savings except for a ULIP plan of 60k per year and a couple of LIC plans based on relatives recommendation. 3 years of work and negative 16 lacs to show for it! During MBA, thankfully, I ran into some good, positive money minded individuals, courses, blogs (Jago investor and Subra money for example) which opened my eyes towards my financial fallacies. 27 year old, out of MBA school and 20 lacs in debt, with a salary of ~1 lac per month, I ensured that I paid off the debt in 2-2.5 years ( I had a consulting stint for 6 months in Canada that helped). My parents btw thought I had gone cuckoo in trying to repay my loans early and selling off my non-performing ULIPS and LIC plans (at a loss). Now, 7 years later, with 7 more years of work experience, I have more than ~1.5 crores in assets. I don’t own any real estate and am looking for the best investment. I am not in love with Bangalore anymore, as I used to and the area I would like to stay is way-way-way beyond my reach. Once I started saving money, they were always in small amounts. The guideline was to keep aside 15-20 % take home income into savings right away. This was apart from the mandatory cuts like PF from pre-tax income. Just think that your take home is 15% less and stretch the rest of the money for your needs. Else, your monetary demands will always stretch to match the supply. I was surprised at how quickly they all add up. Investing in PPF is a good example. It’s surprising to see that I have 20 lac in that debt-like instrument. Or the mutual fund which was mainly based on small SIPs of around 20-25 k per month, to begin with. With the way markets have behaved over the past years, they quickly grew and have resulted in the current amount. Over a long-term, a small investment on a regular basis can create huge wealth .. below is one small example of it. I have learned that the difficult part is to start and I maintain disciple in investing systematically. Once you do that, they give you some surprising results. I intend to not touch my Indian mutual funds, invest another 50 lacs there over the next 6 years and just let it marinate and grow over the next 20-25 years when I retire. Money for me now is a means of where I want to be in 20 years from now while enjoying life on the way and being able to help everyone who matters to me. I hope I am able to use money as a tool to enrich not just my life but many others – Next stop, for now, is a small home of my own. How important is money in life? Currently, Money is a contributing factor for peace of mind. I’m glad that I can provide for my family, spend some good amount, have a security blanket in case of emergencies, help my family and potentially don’t have to worry about money when I retire. It’s not the end at all but is a means to achieve my goals. I know people romanticize having less money, but having stared at poverty up close in many cases, I can tell for sure that it’s always better to have enough money to ensure peace of mind. At the same time, the definition of “enough money” keeps changing. In college, 500 INR per month was enough money. 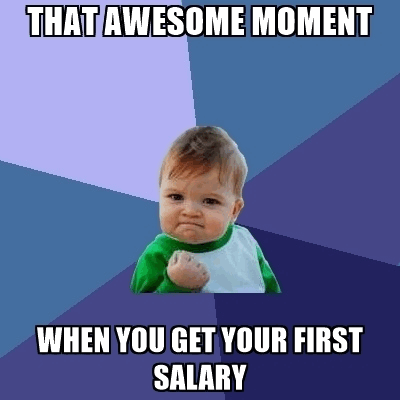 First job – 7000 per month for the first 6 months was enough for me to live like a king. My salary jumped to 25k per month and 3 years later and I thought I ruled the world. This is how I felt! Now, with 15x – 20x that income, I am still not sure if it’s enough money (especially as I plan my retirement and my child’s education 15 years from now). I am still trying to find my answers there. My wife calls me a compulsive worrier and over thinker and maybe that’s true. When I meet my friends with less money than me or family members with less money, my first thought is how to help – not necessarily financially, but in terms of education. But it’s not always easy. I tried educating my uncle on how his LIC policies are a bad investment and he can look at markets and MFs as he’s retiring 20 years from now and I was snubbed as a know it all in some circles. When I see my cousins burning through their money in their 20s with no investment or investing in something just for the sake of 80C, friends buying the latest gadget (iPhone upgrades every year ! ), spending insane money on cars, to me it looks like people are finding happiness through small things which is never-ending. After I shared my story with all readers on Jagoinvestor platform, it bought back so many memories – I’m literally in tears thinking about what our parents had to go through to get us this life that we now take for granted. I feel lucky to have such parents and in general to have been bought up in an environment that could get me to where currently I am. Thank you for giving me an opportunity to share my experience with you ! and I request all readers to share their own money stories with all of us, there is so much to learn and know how others have lived their financial life and think about money matters. If you want to write your money story, Leave your details here and Jagoinvestor team will get in touch with you with next actions. What do you think about my money story? Did you enjoy it? Can you share your views about money and how it changed over the years? Very Good massage for live life. I never read this type of story, this is a magical story ever read till now. Thanks for your comment pradeep kumar .. Please keep sharing your views like this..
this story inspired me , i am also thinking to be a millionaire, doing too much hard work ,even day and half night in my blogs,sometimes i just lost my hope, but this type of stories motivated me again and again. Thanks for your comment monali .. Please keep sharing your views like this..
really a nice story of motivation. Thanks to the author for sharing. Glad to read this story.Very good planning.. Truly inspiring, thanks for sharing your story, shows a lot of courage and perseverance. Heart touching story. The one who invest according to Human Life Value ratio, (atleast 15% of total salary) from the initial sages of starting the job, can easily become double corepati at the time of retirement. Nice and helpful story, as this serves as an eye-opener for novice investors who is spoiled for choice with a variety of investment options in their mind and really confused with what to choose from. A good article thanks for sharing… Couple of points. Actually we don’t know the CAGR of the investment the author had done in US, had it been done in India in the same period what would be the delta in networth. I am asking this particularly because the Indian market has done quite well, especially in the past 2-3 years. Also a concentrated portfolio with cherry picked portfolio or alternatively money invested with well known PMS providers would have definitely doubled your wealth in a very short span say 1-2 years. On a personal note my portfolio with PMS (24 Lakhs invested in Sep’16) is worth now (49 Lakhs) and my friend who invested around 50 Lakhs is already sitting on 1 Crore. (1.5 years)… The Indian market is throwing up very good opportunities to retail investors now and I guess would be the best choice in my point of view. The Key is you should have a concentrated portfolio of say 12-15 stocks. I have a question too, I have PPF of say 10 Lakhs in India but I am an NRI for the past 10 years so what is the way forward for this PPF investment, should I withdraw all of these and put it else where. Please advise. Congrats, lots of discussion on the US income, time and money accumulated. The essence is every individuals needs would be different, you might not the need the same amount of money during retirement as the OP. He might have accumulated 1.5cr in 7 years, you and me can do it 10 years, why bother? But credit and the learnings should be that he paid off the loan, sold his lic policies, invested in debt and equity at an early age and hadn’t invested in real estate yet. As ur NRI how u invested in PPF and Mutual fund from her, can u suggest. and how much monthy you put in MF and who was broker . He might have the PPF before he became the NRI (he is just 2.5 yrs old NRI) ..
Until 2017 , an NRI could continue to invest in an existing PPF account . This has changed since 2018 and I probably won’t continue the PPF investment as it now only provides around savings bank rate for NRIs. Please let me know how get quickly in less time Rs.1crore by investing Rs.50Lakh. Please advise. Assuming a 12% return on average.. one can double the 50 lacs to 1 crore in 5-6 yrs ! Before we hail this story as the most inspiration story of this decade, I think it’s very important to highlight that he saved this amount of Indian rupees thanks to his foreign earnings in dollars. This is a huge point of contention as most Indians having a debt of 20 lakh after passing out of college will never be able to get anywhere near 1 crore in savings even after 20 years, let alone 7 years. 20 lakh is a substantial amount of debt for a fresher to bear and since interest on loans also compound against you, you ultimately end up paying double that amount. To overcome that disadvantage and then save 1.5 crores with cost of living being so high is next to impossible with indian wages even if you happen to work in a very high profile job. This is only realistically possible with a US job and some good saving habits from early on and I know quite a few NRIs who have done it. So my advice to indians who are not in his position despite saving every last penny you can, don’t think of yourself as a loser. I know you are doing the best you can. 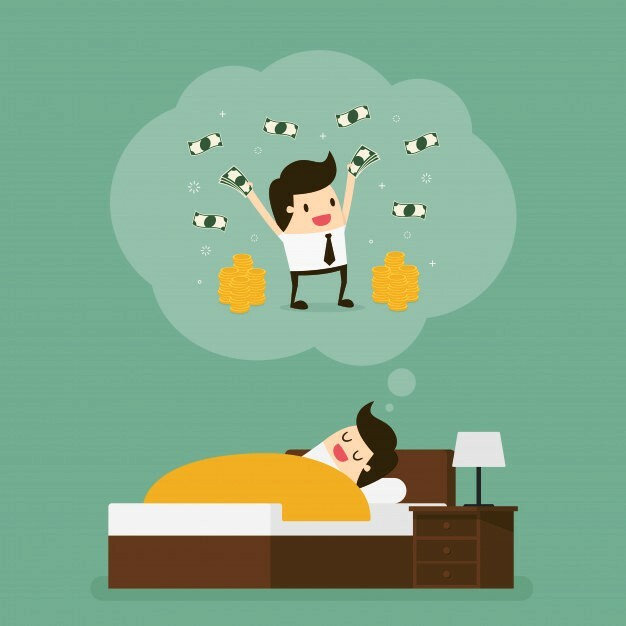 Keep saving and target to reach your retirement goal by 60 years of age instead of losing your mind thinking how you can do it in 7 years. And most importantly, keep enjoying life without compromises because we don’t know if we will even live till 60. Definately the author has some advantages on his side, and sure we have no idea of some problems he might be having on his side as well. We all are blessed with some thing great in our lives and we have few curses. This money story is not written by author to make others feel like they should catch up to his level, neither is his story an indication of what can be achieved in 7 yrs. Its just one person life sharing on what happened in his life and how it moved. I am sure most of the people who read this story take this story with positive inspiration and learn and enjoy from what author has shared. I wrote the Early Retirement article published here on JagoInvestor last July. I too was an NRI, now returned to India. But I did not mention that in my article because I knew it would distract people from the main message of saving at-least 50% of your salary each month. That is compounding & equity returns at work. I will let the author reply on this ..
Great story. Am in USA too and finding it difficult to invest in Indian Mutual Funds as many fund houses are not accepting investments from US NRI. Could you please share how you are able to invest in Indian Mutual funds from USA? Even when the author started working in 2007, PPF cannot have 21 lakhs. Looks like his ppf his pretty old…. Yes, it might be … also it might be 1.5 + 1.5 for wife too .. 7 * 3 = 21 lacs .. just guessing ! I think the most important point is “Earn more and spend less and Invest more Minimize expenses” is what made the author to create such wealth goal! Interesting Story! Thanks for Sharing the author his story! I think the quote “If you fail to plan, you plan to fail” by Benjamin Franklin’s phrase is applicable for all the Wealth Management. Great story and congrats to the author on the success. Question regarding the mutual fund investment in India – was the 20-25k investment per month steady throughout the 7 years or did you gradually increase it over time? Let author reply to your points ! Thanks for the question . The initial year , it was around 25k per month and I gradually increased this every year – with every salary increment . My total investment into mutual funds were around 38 lacs as of 2.5 years ago . They have grown into the current amount since . This investment on an average comes to around 75 k per month for the 4.5 years in India . At age 34 any persons portfolio will be majorly salary savings rather than investment returns (unless you hit some jack pot in direct equity or have a successful startup). The money is due to education in IIMA/B/C(assuming) and dollar earnings. The author did right in accumulation phase and will reap rewards in growth phase in the next decade of his life. At 39 this is the year my investment returns were more than my takehome (2017 market helped). I was I think 36 when my investments for the year were less than the returns for the year. This is because the 5K you invested when you were 25 would have grown 10 times but your salary would have grown more than 10 times so the investment is still more. Thanks for your comment. I will let author add his comments in reply to yours ! Thanks for sharing your life history on Finance. This is boost people like us who hesitate and give reasons for saving even 5000 INR per month. Spending on costly clothes and living for society I always hate. Need to start my investing in Mutual Funds started only before 2 years. One of the things that young people today can do is learn from the mistakes that your closed ones did. My only doubt is how he is able to deposit Rs 21 Lacs in PPF in span of 7 years? Really inspirational story. This is very inspiring. Thank you so much for sharing. I love reading blogs on Jago Investor and it has been so far one of the best learning curve. 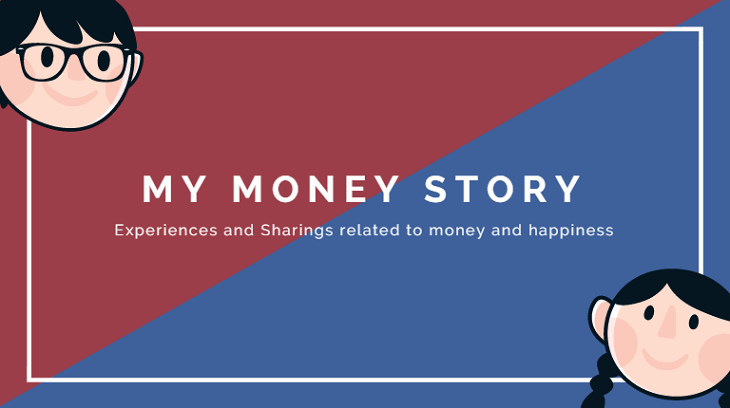 Would you be interested in sharing your money story ? How this guy made 21 Lakhs in just 7 years in PPF ? He has started working since 7 yrs .. PPF might be old or husband + wife with full contribution .. you never know! Yes agree for people spend money on unwanted things. I agree with the writer, however I feel you should also enjoy life. What if I die early, then the amount will be passed to my kids just to make them spoiled brats. I personally feel we should save good money along with enjoying life. If people think it’s practically not possible then they are wrong. Enjoy investing n enjoy life. Why do you get the feeling that he author is not enjoying life? I think he has not mentioned anything on that front? I will ask author to post his comment on this point. I’m the author of the post . Thanks for taking time to read and providing feedback . I realize that I probably come across as a stingy middle aged guy who torments his wife for every dollar she spends . I can assure you that its nor true 🙂 . I only focussed on the saving and investing part as that was the focus area here . I do try and enjoy the money . We take frequent vacations , eat out once a week if not more ,go out every weekend – so on . Over the past 5 years , we have taken a “foreign” vacation pretty much every year . But there is a limit on how much I’m willing to spend on things I deem as luxury . For ex : When I wanted to purchase a SUV after my son was born , I narrowed down on a 35k$ car which was luxurious enough and was super safe for my family . The bank and the car dealership wanted me to buy a 75k$ luxury SUV instead as that was what my income was “eligible” for . The luxury SUV is a want where as a safe and reliable SUV was a need . I do try and make such distinctions . I hope this addresses some part of your question . Can you do a calculation , excluding the foreign earned money. Dollar money changes the whole game. yes, the dollar money changes the whole game. If you exclude it the game changes, but the game is still amazing ! . The focus of the article is only to show someone personal money story and how they view the area of money. While the author has shared his networth , its mainly to add to the story .. The author might be working with a good pay and have travelled to US and earning in dollars which is adding to the networth at a faster rate, but you have to appreciate that its the attitude towards money which is the HERO here. I suggest do not make these numbers as your benchmark .. because everyone has their own situations, their own expenses and life. You should just target things based on your situation. I suggest you should mainly target to save 30-50% of your income if possible and create a better networth than today. Thanks for the response , Manish . I read this article multiple times and going through this , one factor that I missed initially was the biggest investment that the author made . Earning 25 k a month , 10 years back , it must have been a difficult choice to spend 16 lacs , stop earning and study MBA . After this , his salary jumped 3-4 times and in 7 years almost 15 times ? That for me is his biggest investment and risk and not the $ numbers stated in the article . Its pretty eye opening actually and is helping me evaluate where I stand . Thank you ! If you need a benchmark network by age and income, then pickup the formula from Millionair Next Door, or a modified version of it from Money Moustache. They work excellently well for Indian situations too and I have been following it.